My Love Story!! had its first airing between April and September of 2015. The story follows Takeo Gouda – a massive gorilla of a man – as he goes through high school life. Behind his terrifying physic is a kind gentle soul who only thinks the best of others, well renown to his fellows for his courageous and genuine personality. Unfortunately, none of these things prove to be of much help in his quest for love, especially since the Juxtaposition of heartthrob and Takeo’s best friend Makoto Sunakawa. Then one day after protecting the young Rinko Yamato from a subway pervert, Takeo finds himself falling head over heels for yet another girl. However, it seems that Takeo believes that Rinko may be smitten with Makoto, and so he dedicates himself to act as their love guide, regardless of the yearnings for his own love story. 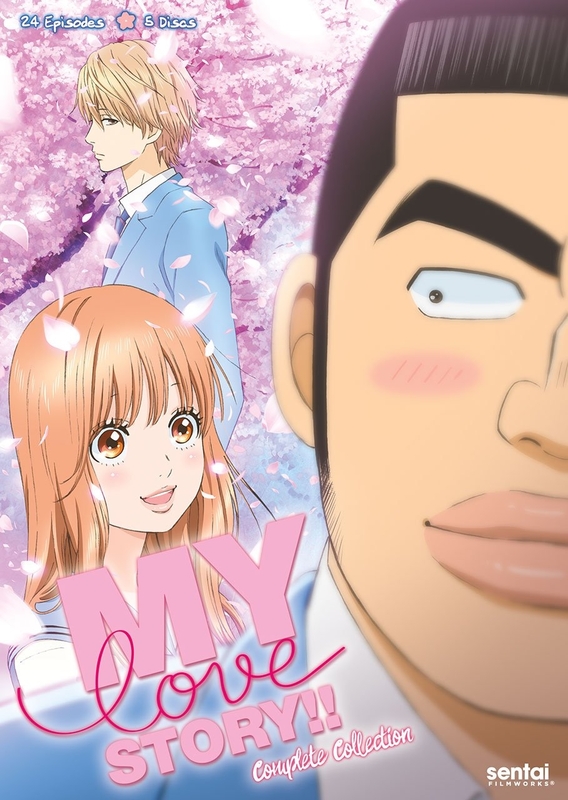 My Review: My Love Story!! is a very quaint and endearing show that’ll have you laughing and crying along with all the main characters situations. Takeo is a brilliant character who you can’t help but love. The other characters a much blander and nonunique, but I would not say that they are any less memorable as each one is important and modifies the story in some way. The story takes an interesting path, choosing to go from a critical point to a state of calm to critical point again, a nice break for slice of life anime that really helps prevent the show from becoming overwhelming. I had been planning to watch this show for a considerable while but for some reason just kept putting it off, which I regret now because this show is genuinely very good and I highly recommend to anyone with a fancy for Romance, Slice of life or even just comedy. I rate this anime 7/10. This is just such a really sweet show. Theren’s enough umour for it to keep interesting, the romance is adorable, and I love Suna as the best friend. I totally agree, thanks for sharing.